WASHINGTON, Jan. 27 (Xinhua) -- U.S. President Donald Trump said Friday that it is "very early" to talk about lifting sanctions on Russia in relation to the Ukraine crisis. "I hear a call was set up. 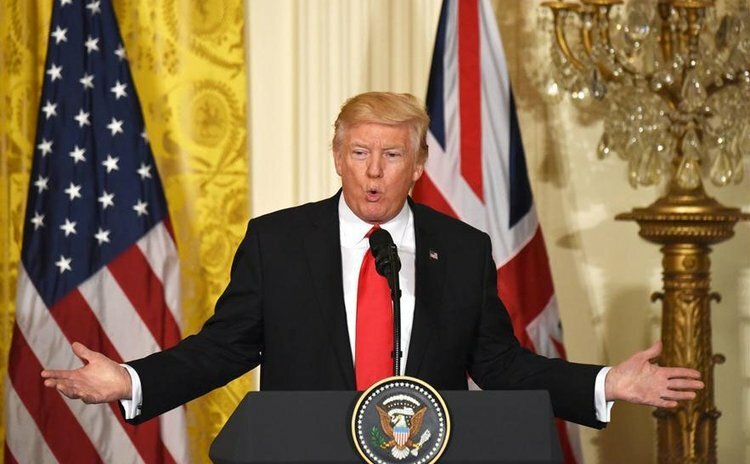 We' ll see what happens," Trump said at a joint news conference with British Prime Minister Theresa May. "As far as sanctions, it's very early to be talking about that." Trump and Russian President Vladimir Putin will hold a telephone conversation on Saturday, according to U.S. officials and the Kremlin. Trump has hinted that he could lift the sanctions against Russia if Moscow proved helpful in battling terrorists and reaching other goals important to the United States. Trump's openly pro-Russia stance has been scrutinized recently amid U.S. intelligence's conclusion that Russia helped him win the presidential election through hacking activities. Russia has denied being behind the cyber-intrusions, which targeted the Democratic National Committee and the private emails of Hillary Clinton's campaign Chairman John Podesta. Trump has repeatedly said he doubts the veracity of U.S. intelligence blaming Moscow for the hacks. At the press conference on Friday, May said the sanctions on Russia should continue until Russia fully implements its commitments to the 2014 Minsk Agreement. "As far as the U.K. is concerned on sanctions for Russia in relation to their activities in the Ukraine, we have been very clear that we want to see the Minsk Agreement fully implemented," May said. "We believe the sanctions should continue until we see that Minsk Agreement fully implemented and we've been continuing to argue that inside the European Union," she added.